Date posted: May 9, 2014 by: JasonDarkX2 Category: Gaming Reviews 4 comments. Have you ever wanted to use a high powered sniper rifle indoors, let alone rob a bank with it, or simply have a reason to camp in Payday 2? 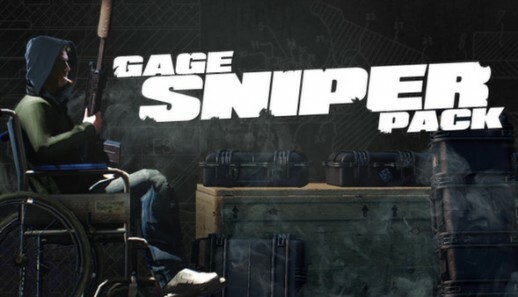 Now you can do all that with Payday 2’s Gage Sniper Pack for $4.99 (US) gets you 3 luxury sniper rifles that are slow but are very powerful with deep penetrations for maximum satisfaction, along with other goodies such as a camping spot asset. But is all really worth it, Hmm… I don’t know, but one thing for sure it’s BOOM head shot time in Payday 2. Well there isn't exactly one perfect sniper rifle in this pack the three available seems to fit into one of the categories of high fire rate, ammo capacity, damage. The Rattle Snake has the lowest damage out of the three but its trade off is a fast fire rate and magazine size making it the best CQB rifle. The R93 is sort of the middle rifle with a bit of stat traits of the other two rifles; it’s ideal for penetrations taking out shielded enemies and popping headshots through walls. But with it low magazine size its not the ideal for CQBs best used with cover. Last but not least there is the Thantos the Godly of damage output with damage 2880 certainly the powerful weapon in Payday 2 yet it still can't take out bullDozers with one shot, but in two. The Thantos low fire rate, ammo capacity and magazine size keeps it from over powered. Best used at a distance with a suppressor. Using sniper rifles in a fast pace heist does slow it down since they’re so slow while everything else it’s so fast paced. 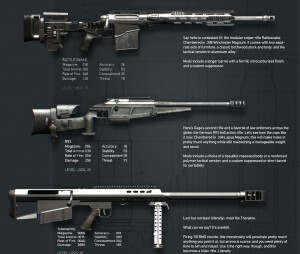 The best uses for these rifles in my opinions are to provide cover for team mates during heists not during fire fights while trying to move loot such as fire starter day 1 or watchdog’s heists. Purchasing this pack also unlocks the ability to buy a camping spot called a vantage point asset. 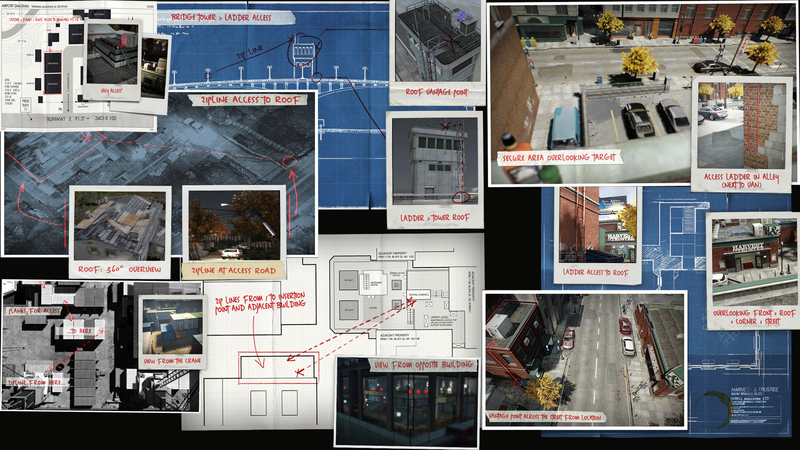 The vantage point is a spot on a heist that gives the camper tactical view of the map. 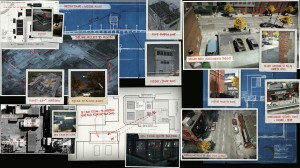 either on the roof of objective or the neighboring building across from it, accessible via zip line or simply a ladder. Vantage points are available for bank heist, jewelry store, Rats, fire starter, election day, and Framing Fame. Offering little to no cover it’s certainly a death trap if you stay there during the police assault since you’ll be far away from fellow team mates so they can’t inspire or revive you. You are pretty much left to die if you choose to use vantage points and you obviously can’t contribute to basic mission objectives from there like drills and loot. But it’s certainly not entirely useless; it’s mostly for sniping, silent killing enemies with a suppressor, and a cool place to go AFK while everyone decides to for stealth a bank. The 17 new achievements are really meh and feel like a chore to do. But you’re going have to do them anyway since they unlock the rest of the Sniper pack content. 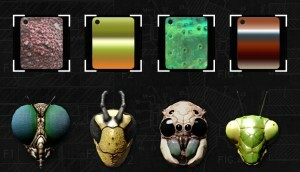 Talk about being bugged face you can now get 4 insect masks simply by doing 500 head shots with any sniper rifle probably the most enjoyable achievements in my opinions just do it naturally, running around in a Bank with a rattle snake yelling Boom headshot! In less than 30 minutes achieved all of it. The time consuming ones is probably the sniper specific ones like shoot through walls, double kills, head shot cloakers. To unlock weapon mods, materials, and patterns, weapons mods sets are only for sniper rifle with unlimited use that modifies only stability, accuracy, and concealment weapon stats. For masks I was really hoping we would get military recon set, instead we got an insect set. Hey it is what it is; if you like bugs/insect customization Sniper pack is for you. Otherwise customization offered in this weapon pack falls a bit short. 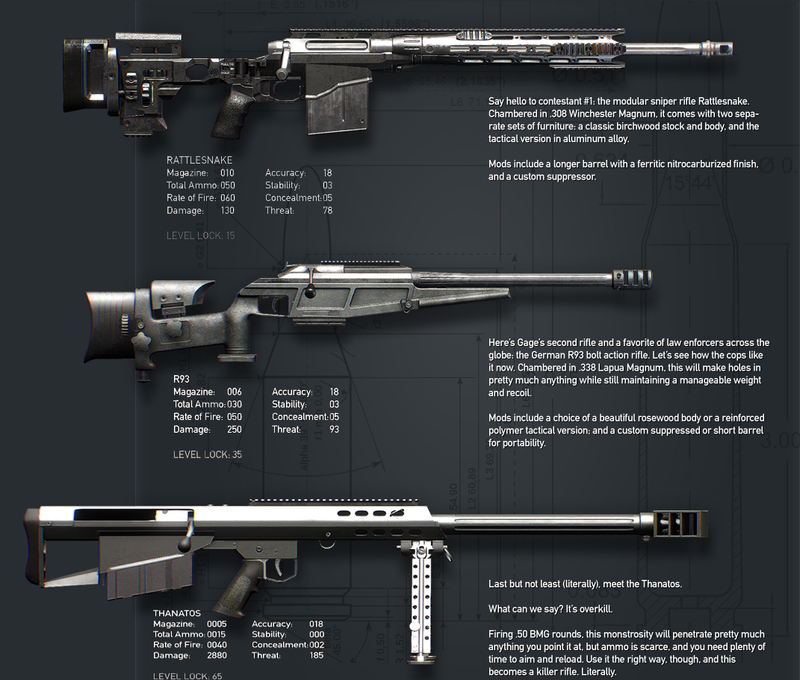 Overall Payday 2 Gage Sniper pack at the end of the day this pack is all about Sniper rifles and lots of head shots. While the little extras unlockables are nice, the achievements add a bit more play time into Payday 2. But seriously it isn't really worth the $5.00 Price tag unless you really want sniper rifles in your arsenal or an insect/bug customization set. Otherwise lock and load with the default weapon sets is just as good enough on single fire mode. New achievements that only you require to get kills and head shots. masks, mods, patterns unlocks through achievement completion. mod sets for each rifle with unlimited use. mask materials, patterns are reusable. Vantage spots are not that useful. I have to agree $5.00 is expensive for guns when the ones already in game are more useful. The masks we’re kind of disappointing I was hoping for a pair of NVG and a ghillie suit Armour. vantage points are in the worse places, why isn’t there one in Go Bank or watchdogs day 1? the one in framing frame day 3 is the worst.